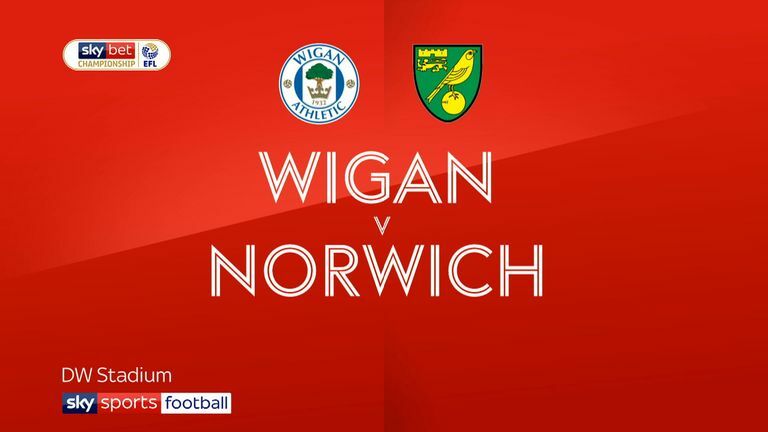 Teemu Pukki scored a late equaliser as Norwich edged a point closer to promotion with a 1-1 against Wigan at the DW Stadium. 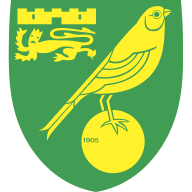 1:50 Reece James and Teemu Pukki says both sides knew what a tough fixture it was going to be following Norwich's 1-1 draw at Wigan. 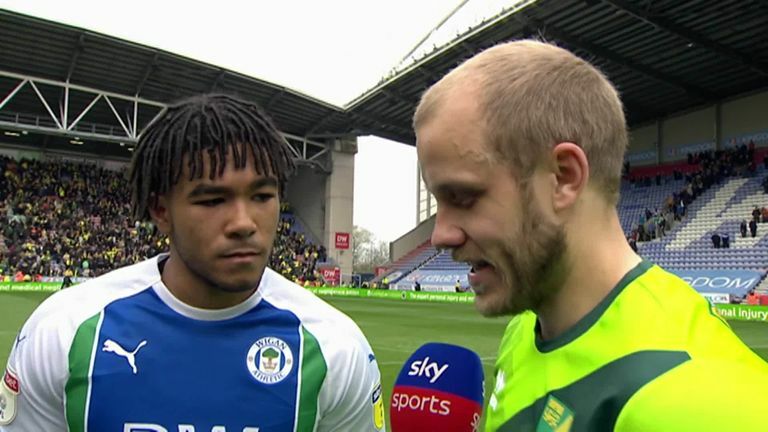 Reece James and Teemu Pukki says both sides knew what a tough fixture it was going to be following Norwich's 1-1 draw at Wigan. 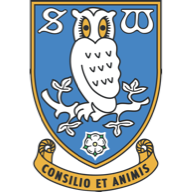 2:09 Paul Cook says his players showed their bravery and desire but are hugely disappointed to not see out the game, following their 1-1 draw against Norwich. 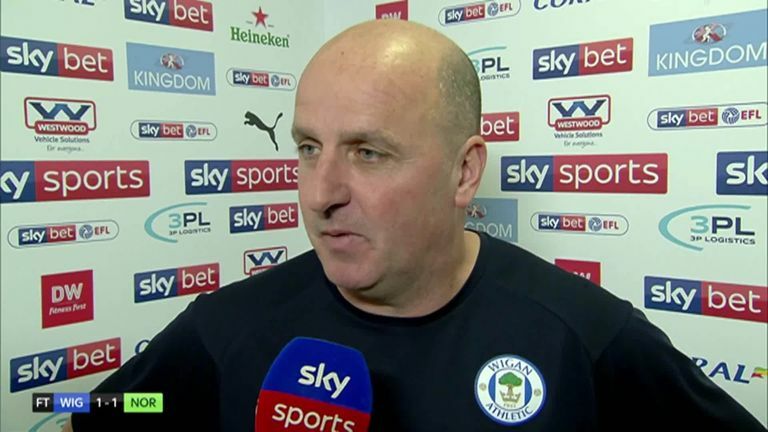 Paul Cook says his players showed their bravery and desire but are hugely disappointed to not see out the game, following their 1-1 draw against Norwich. 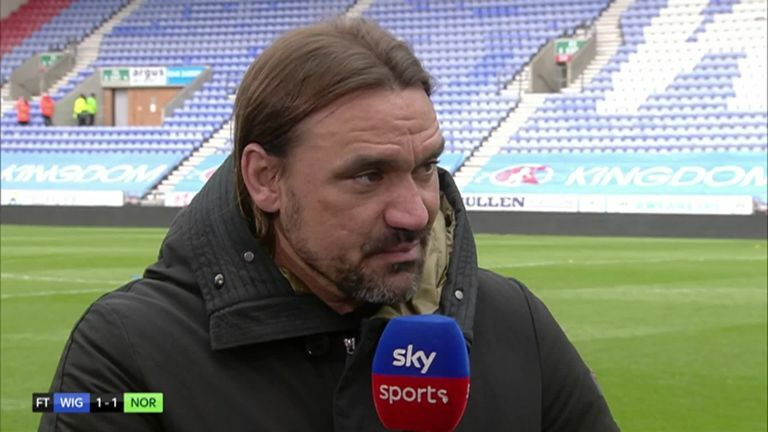 8:53 Daniel Farke says he is relieved to have secured a point following Norwich’s 1-1 draw against Wigan and praised his side’s performance. Daniel Farke says he is relieved to have secured a point following Norwich’s 1-1 draw against Wigan and praised his side’s performance.